Hey people, so long time without upload something nee? 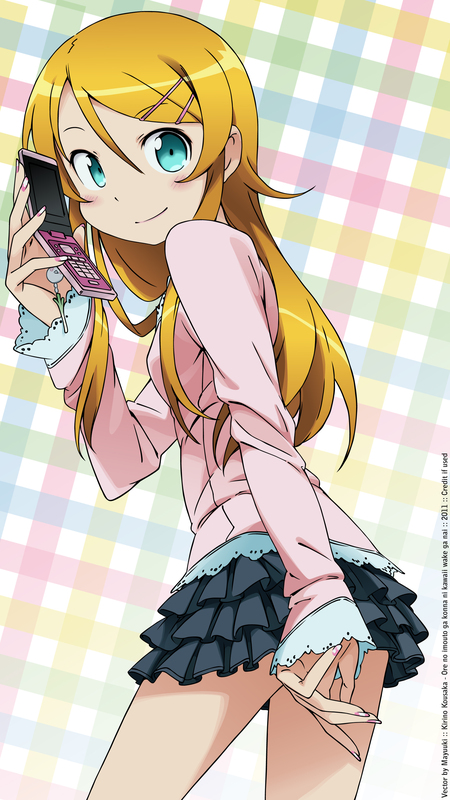 Browse Ore no Imouto ga Konna ni Kawaii Wake ga Nai Gallery: Recent | Popular. Now I really can't wait to see what you've got planned with this adorable picture of Kirino. 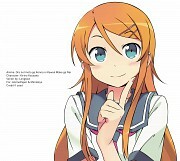 OreImo was one of those cute series and while it was rather cliche filled, it still was fairly enjoyable. You really did a fantastic job with the vectoring. I'm rather jealous, because whenever I've attempted vectoring it always blows up in my face. As for my knowledge of vectoring is very minimal, I can't really say to much in terms of that, but I can definitely say it looks fantastic. Like I said before, I can't wait to see how you plan on executing this scan in a wallpaper, Mayuuki! The vectoring is very nice and smooth!Some of the lines around her hand are a bit sharp but most of that should hopefully be less visible if this is resized for a wallpaper. The colours really pop though! 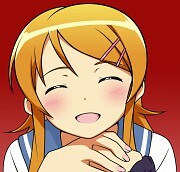 :D Great work, keep it up girl!